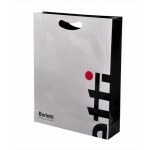 High Gloss Laminate Bags are an attrative printed paper bag that will ensure your brand is remembered. 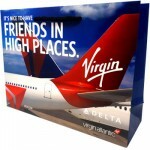 Magellan offer a wide range of printed gloss bags with many custom features. We offer high end die cut bags, luxury rope handled bags and bespoke ribbon handled bags all with an aesthetically pleasing gloss finish. This professional presentation bag was made for Bazaar and has rope handles. 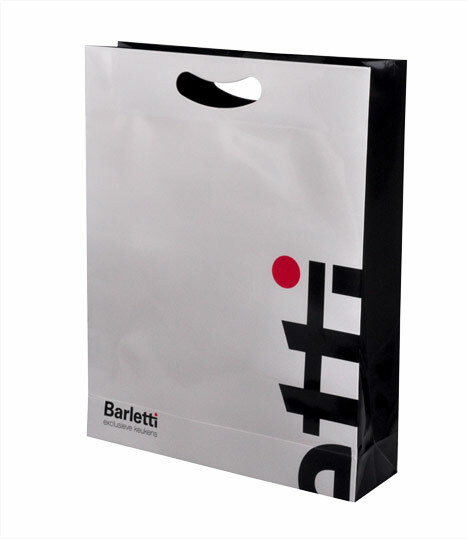 This high end packaging piece was manufactured for Barletti. 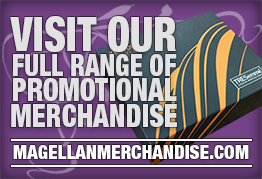 This luxury printed packaging option has a high end ribbon handle. 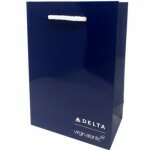 Branded Delta Airlines Gloss Lam Bag has a 5mm cotton handle and a full colour gloss finish. .. 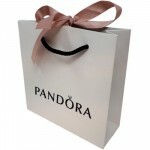 Gloss Laminated Pandora Product Bag has a high end pink ribbon to seal the product inside. Luxu.. 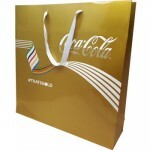 Luxury Bespoke Gloss Bag for Coca Cola has soft ribbon handles Print: Full Colour PrintFinish: .. 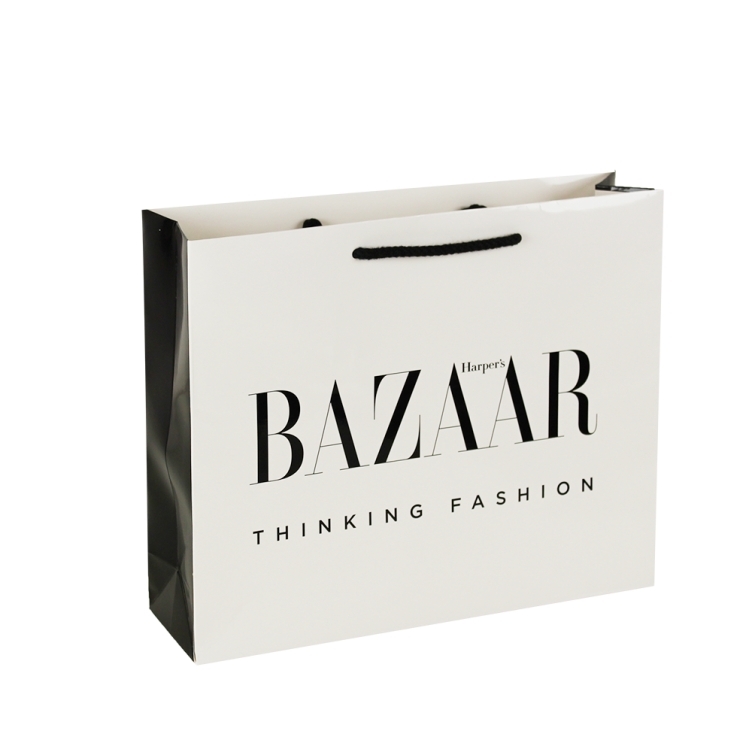 Printed Bazaar Gloss Laminate Rope Handled Bag Print: Printed Laminate bag with 4 colour print to o.. 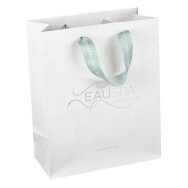 Printed EOS Gloss Laminate Rope Handled BagPrint: Printed Laminate bag with 4 colour print to out si..
Bespoke Luxury Ribbon Handle Matt Bag for Eau SpaPrint: Full Colour PrintFinish: Matt Laminate Paper.. 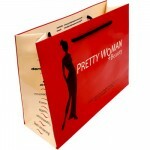 Custom Printed Die Cut Paper Carrier Bag for BarlettiPrint: Full Colour PrintFinish: Printed Gloss P.. Gloss Rope Handled Bag for Pretty WomanPrint: Full Colour PrintFinish: Gloss Laminate Paper BagsHand..
Royal Mail Rope Handled Bag features a full gloss design with a full colour print and a red 7mm cott..
Virgin Airways Rope Laminated Bag is a high end full colour printed gloss laminate bag. 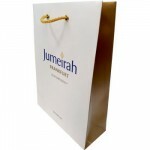 This bag is..
Bespoke Luxury Gloss Laminated Bag for JumeirahPrint: Full Colour PrintFinish: Printed Gloss Paper B.. Printed EarlCrown Rope Handled Gloss Laminate BagPrint: Printed Laminate bag with 4 colour print to ..
Project: Printed Matte Laminated Bag with Rope HandlesClient: Red CommerceStyle: Laminated Paper Bag.. 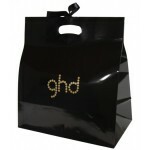 Printed Gloss Die Cut Handle Paper Bags for ghdPrint: Full Colour PrintFinish: Printed Gloss Paper B.. Printed TopShop Gloss Laminate Rope Handled BagPrint: Printed Laminate bag with 4 colour print to ou..